Yes, honey is sweet and delicious, but don’t confuse it with white cane sugar or sugar substitutes. 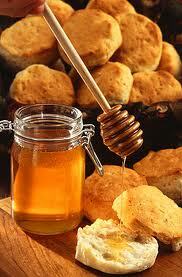 Honey is an all natural carbohydrate that can actually help keep your blood sugar constant. You will get the quick energy boost like sugar, but it is a sustained energy boost so you won’t feel that deep let down later. Though honey should not be given to children under 12 months of age, it is a sweet and healthy snack for the rest of us. 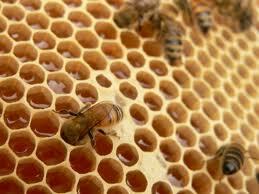 Honey is a natural source of antioxidants so it reduces our risk of cancer and heart disease. It improves our digestion and strengthens our immune system. Honey has been used in home remedies for all sorts of things for years. Ginger tea with honey alleviates nausea and vomiting. Honey calms the itch of mosquito bites. It can cure a yeast infection. It can kill mild athletes foot. 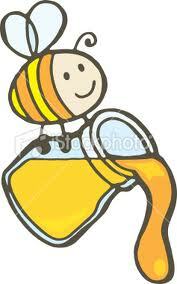 Use honey to reduce arthritic pain. Try drinking a glass of warm water with 2 teaspoons of honey and 2 teaspoons of apple cider vinegar three times a day or add 2 tablespoons of honey and 1 teaspoon of cinnamon to a glass of green tea twice a day. Honey reduces pain and swelling in cuts and burns. Mix ½ oz of honey with 2 oz of natural yogurt and 3 0z of orange juice if you need help getting rid of a hangover. 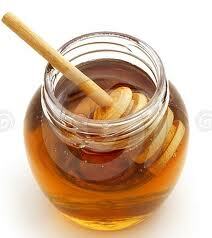 To ease a sore throat, try a spoonful of honey. If that doesn’t do the trick, mix 2 tablespoons of honey with 4 tablespoons of lemon juice and a pinch of salt then gargle. Trouble sleeping? Add a teaspoon of honey to a glass of hot milk, or my favorite, add 1 or 2 teaspoons of honey to a cup of chamomile tea. This is actually a short list of possible home remedies and uses for honey. In ancient times even doctors used honey in treatments. There are all sorts of books available if you are interested in learning more about honey and its uses.